This is a catalogue of the exhibition organized by the Frick, the Thyssen and the Groeningemuseum back in 2005. I visited the exhibit then, but bought and read the catalogue recently.Most of the twenty-something portraits are free standing, but there are some imbedded in altarpieces as praying donors. They come from a good array of Museums, and that is always a sign of a worth-while exhibition.Hans Memling was of German origin but settled in the Netherlands at an early age. He probably learnt his craft in Van der Weyden’s workshop in Brussels, and then moved to Bruges around 1465. There he eventually occupied Van Eycks’s position as the leading artist, about three decades after the latter’s death (1441). Memling belongs to the second generation of the Flemish Renaissance School.Bruges was probably the most cosmopolitan city in Europe at that time. There were many “expats” from the various Italian states (or from Burgundy, or from Castilla and Aragón, etc…), working for either trading houses or bank subsidiaries. These foreigners were aware of their living in “the place to be” and took advantage of what the city could offer. Amongst the local attractions there was art. About a third of Memling’s patrons and sitters belonged to this international community. The Italians in particular chose him, which is remarkable given how very novel and attractive was the alternative offering they had at home.Not only the Italians living in Bruges but those still at home were requesting works to Memling. The amazing The Last Judgment, was commissioned by Angelo Tani (a Medici banker), and destined to hang in Fiesole, but the painting was stolen by Danzig pirates when they attacked the ship that was carrying it to Italy. The altarpiece is still in Danzig (National Museum --which means that I will have to include a detour to this coastal city whenever I can finally visit Poland). There was then a great deal more interchange between the two main centers of artistic production during the Renaissance (Flanders and Italy) that is normally acknowledged. 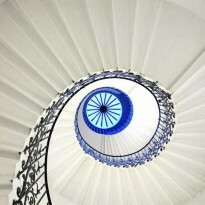 The essays in this catalogue as well as Susie Nash in her [b:Northern Renaissance Art|9585322|Northern Renaissance Art|Susie Nash|http://d.gr-assets.com/books/1288208162s/9585322.jpg|6267598], make this very clear.As for the portrait genre, Memling came up with a very successful formula for single portraits. They normally are of portable size, increasingly with landscape in the background (great novelty), seen at an angle, and with the hands resting on a parapet or the frame. Portraits in pure profile, favored by the Italians and based upon Roman medals, can be very unflattering and therefore not recommended for all sitters (unless the sitter has one missing eye – Federico de Montefeltro – painted by Della Francesca). Pure frontal positions can be very harsh and is generally found in self-portraits (Dürer). 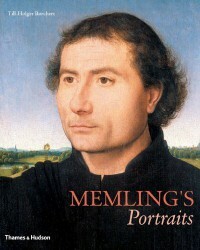 Memling often uses the ¾ angle. It allows the profile of the nose to stay within the face and not break the facial contour, and to show the distant eye complete. But Memling’s mark is the choice of the 7/8 position, since it allows an even better modeling of the head and with a fuller view of the face, the expression of the sitter will be richer. This formula was happily assimilated by Italian art. Look at Da Vinci’s Mona Lisa.